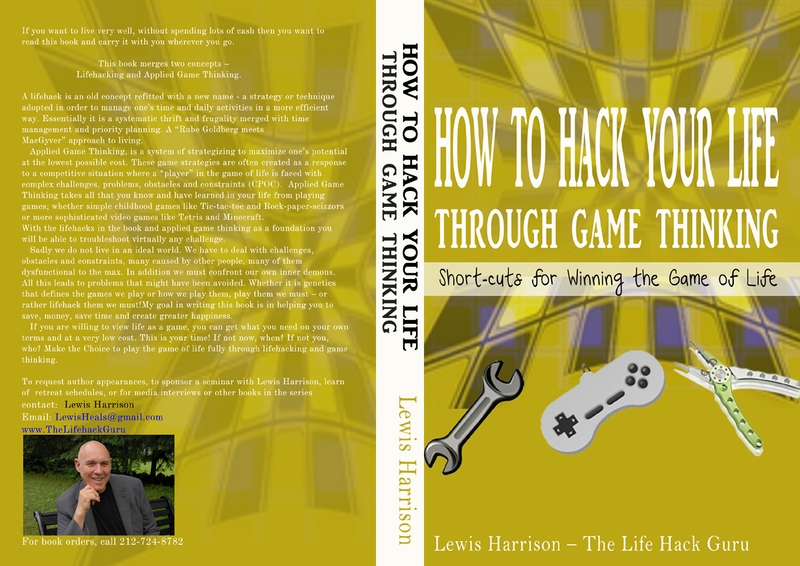 Lewis Harrison – The Game Theory Life Hack Guru | 1,000's of Tricks, Shortcuts, Strategies and Tips that Increase Productivity, Efficiency, and Effectiveness in all Walks of Life. I travel about 100 days a year and much of that is done through airports and on airplanes. In doing so I have often looked for shortcuts, essentially using game theory to maximize my travel experience at a low cost. Below are a few tips on maximizing your flying experience. These taken from my book “How to Hack Your Life Through Game Thinking”. Airfare is one of the most costly investments in long-distance travel and yet if people use the right information at the appropriate time, they can save lots of cash and possibly even get paid to fly. This Hack # offer a cornucopia of approaches to getting where you are going with tips on where to find the best deals on cheap airfare and the best time to purchase tickets, how to get frequent flyer miles and the best times to use them, what travel agents to seek out, what websites for buying tickets have the lowest or no hidden charges, and much more. One thing I always do at the airport is getting a chair massage. http://www.eventschairmassage.com has massage therapists at JFK airport, Laguardia Airport and in all the major hubs.  Avoid peak travel days – Those before and after an actual holiday. Look for flights two days before or after a peak or holiday period. Sometimes you can save by flying on a holiday when most people would rather be home. Flying on Xmas or New Year’s Day is always less expensive that just before or after the holidays. Compare airfares on the web and sign up for e-mail newsletters that will inform of sales and special packages. You can also become an air courier.  Book on a weekend. Usually, they are about 5% cheaper than other days of the week. The reason? Business travelers tend to book on weekdays and the tickets are paid for by their company. Airlines attract more thrifty and price-sensitive travelers on weekends with lower fares.  Buy tickets over the Internet. Hawaii to get the best return on investment.  Don’t book flights earlier than 150 days in advance or more than 14 days in advance. Generally, airlines don’t offer discounts or sales during these time periods.  Split Ticketing – Travel agents in one country can issue tickets in another, taking advantage of differences in price at one end of a route. This facilitates “Split Ticketing” whereby you can save by combining two one-way fares for a round trip, especially in first class or business class.  Cheap flights in Asia: If you are flying to Asia consider starting in Bangkok, Thailand. If you buy plane tickets you can get steep discounts to other locations.  If you are flying to a certain country, explore travel agents in neighborhoods that have a large population of individuals from that country. An agent in Astoria, Queens may get special discounts for tickets to Greece, Columbia or Bangladesh.  If you already booked a flight and it is cheaper, later on, you may be able to call and explain the situation and get the cheaper price.  Look for deals on-line for labor day travel.  The best airline fares typically go to those who call just after midnight, East Coast time. That’s when airlines decide whether a flight is full and begin slashing prices if it’s not. Fares can drop by anywhere from $50 to $400. Challenge #2. Getting the best seats on an airplane: Some seats better than others and there are ways to nab the best spots for yourself. Of course, what is considered “a best seat” will be different for different people. Let’s look at some variables. Starting with economy class. Choose a seat that allows for a slight recline feature of a few inches. Choose a bulkhead seat or emergency exit row. Flyer beware: The seats in front of an exit row and at the back of the plane do not recline. Often those behind the exit have weird window configurations. Sitting by the galley can be loud as the crew prepares food and beverages and will often meet there during quiet periods on the flight. The bathrooms are usually near the galley. Sit there and be ready for lot’s noise & people tripping over you. Challenge #3. Overhead bin availability? : While you may feel more bumps in rough air and have a long wait when disembarking, the rear of the plane is often less crowded. For most airlines, you will need to board earlier too if you want to sit in the rear — a win if you want to make sure your carry-on luggage gets a spot. This is something to bear in mind if you are picking your seats on an online chart. Note: Some airlines, deliver beverage service by tray, so there are no carts in the aisle while other airlines offer what crew members call a “starburst”: Here two flight attendants with trolleys meet in the middle of the plane then work their way to the galleys. While service will come quicker for passengers sitting mid-plane, there is one challenge here – There is no getting up to use the toilet since the service carts barricade the aisle. If you are sitting in the middle use the toilets in the airport or before service starts. Challenge #4. If your need for comfort is greater than your need for a cheap fair first and business class may be the way to go: In first and business classes there are usually two types of seats available. Lie-flat seats that allow passengers to recline the seat down to 180-degrees for comfortable sleeping. Reclining seats known as angle seats. For Business and First class, the key feature is lie-flat seats, not ones that are on an angle. 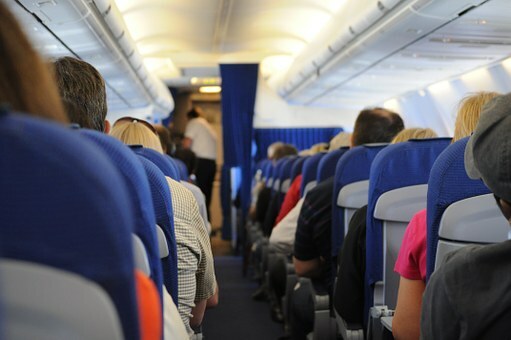 Frequent flyers call those uncomfortable angled ones ‘wedgie seats’ — Guess why? emergency occurs and the captain calls for an evacuation, you will be responsible for helping with the process. Depending upon the aircraft, type of emergency, and the flight attendants’ needs, some passengers may be asked to open the emergency window and assist passengers out of the plane. If you are sitting near an emergency exit door you may be asked to help open a door during the evacuation — or, once the door is open, go to the bottom of the emergency exit slide and help people off and tell them to move away from the plane. Challenge #6. 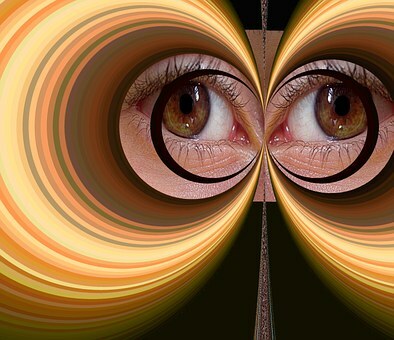 Safety fears: Are you concerned with safety? Does turbulence freak you out? Book flights that use larger planes and that fly at higher altitudes. These have less turbulence. Also sitting over the wings is smoother than sitting closer to the nose or tail. If you are really paranoid take the train, a bus, drive or walk. If that is not an option remember that if there is an emergency sit near the emergency exit row. That’s why they gave it that name. The closer you are to any emergency row, the sooner you’ll get off the plane, that is unless you’re actually in the exit row, then it’s a different story and a complex one at that. Challenge #7. Getting an empty seat next to you? Seats in the rear of the plane and the middle seats are usually the last to be selected. The middle seat in a back row is the very last choice. Fly during a slow time (such as when school resumes in the fall), and you may end up with an unoccupied seat next to you. Challenge #8. Are You tall or Where to sit if you need to make a connection to another flight and are short of time? : The best place to sit in this situation is near the front. If you can’t get near the front you may need to ask or even bargain with those closest to the front of the aircraft to change seats. Always carry a few $10 or even $25 gift cards and offer to pay the person with them to get that coveted seat if necessary. While some fliers who are not in a hurry will happily relocate to a still-acceptable seat (example: aisle for aisle) others may need the bribes such as the free cocktails, or even cash. If you’re desperate (which means you are an amateur Life hacker for not planning for this) you can ask passengers closer to the front to trade seats just for landing, but this only works if carry-ons aren’t stashed in an overhead bin in the back. Whatever you do when requesting or negotiating for a seat change, always keep a pleasant attitude and smile. Challenge #9. Painful pressure in your ears? : There is no part of the cabin that will offer relief if you struggle with ear pressure issues (barotrauma). The fact is that everywhere on the plane is the same regarding ear popping, as the barometric pressure is the same. Challenge #10. Food and beverage service usually starts at the front of the cabin. This can actually change on some airlines depending on whether the flight is flying east versus west or north versus south. For the premium or higher priced cabins, some airlines will allow you to pre-order meals on their website. 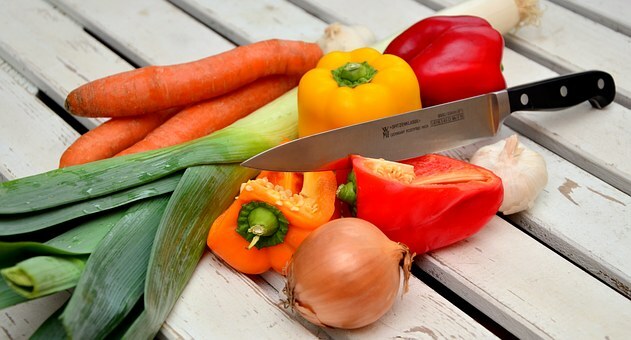 Specialty meals can include vegetarian, vegan, gluten-free, kosher, and for children. The front-to-back service can be a downside for sitting in the rear. It is not unusual on a long flight with hot meal service for the crew to run out of a popular item by the time they reach you in the back. Don’t be upset if you get a vegetarian or kosher meal that wasn’t meant for you. Challenge #11. Need to find the quietest part of the plane? : Some things you can control and other you can’t. You can’t avoid people who snore when they sleep, crying infants or boisterous and loud talkers. The quietest location is usually near the forward galley however you may encounter the problem of listening to the crew chatting. Still, seats as far up front in the cabin as possible will help you to avoid the loud aircraft engines. Even sitting towards the interior helps; aisle seats are several decibels quieter than window seats. Challenge #13. You need to change seats before your flight? : There are a number of options here. If you do not want to be stuck in the middle seat, you may need to work with a living, breathing travel agent who can help guide the process. You can self-serve on the internet: tap into the online system when early check-in begins to see if any last minute seats opened up. Talk to an airline reservationist over the phone or a ticket counter agent at check-in. As a last resort, a gate agent has the ability to reassign seats right up until boarding time. Life Hack Tip: When requesting a seat change, always be pleasant with a smile on your face. Whatever you on a plane and whatever hacks you seek to put in place to improve your lot do be generous in spirit, attitude and someone materially. While a smile, a good attitude, and chocolates may not guarantee you get what you want or need your odds of success go up. Also, always carry extra sweets as additional ammunition for goodwill from others. Bring enough to offer some to the seatmates on either side of you. You never can tell when you need to turn a stranger into a friend. Good sources for information on seating are; ExpertFlyer.com and SeatGuru.com. overseas flights must have a passenger for checked baggage. When you act as an air courier you are never in danger or at risk since you generally never touch or make contact with the material you are “technically traveling with.” Thus you are not responsible in case of damage during transport. The shipped goods are insured by the company that put the courier, the package, and the plane seat together. These are known as the courier company. There are courier companies, who solicit the public to act as couriers for them. Representatives from the company check the goods in and pick them up at the airport or you may be expected to meet a representative from the courier company when you reach at your destination and process the paperwork together at customs. The details of each trip will be explained when you arrive at check-in for departure. Courier companies need you and since they can get you a very cheap fare, you need them as well. In exchange for being a courier, you give up the right to check in much luggage. You must, either travel with only a carry-on, so ship your suitcase ahead by mail. Thousands of people travel the world as couriers. The demand for air couriers has increased since the events of 9/11. Why do companies use couriers? There are many reasons and the more creative you are the easier it will be to discover them.  Unaccompanied material can be detained by customs. If a shipment is stopped by customs the recipient can be charged storage fees which can increase the cost of shipping some goods.  An efficient, cheap way to ship sensitive material.  Certain items cannot be faxed or e-mailed such as bulky material, valuable gems, original contracts, cash payments and checks.  If you know your schedule weeks or months in advance you can reserve the dates you want to.  If you like to travel spontaneously or on short notice the prices to fly as a courier are even lower. Check frequently with courier companies for deals.  If you decide to travel as an air courier on a regular basis you may want to join one of the many organization that can provide information and services for you. It is best to fly once before you join such a group. Some are better than others and many charge a membership fee. One is the International Association of Air Travel Couriers (IAATC), www.courier.org.  Learn the best months to travel: When the prices are lowest, when the mosquito count is low, what local issues need to be concerned (is bottled water required, are beggars a problem).  Be aware of infectious disease issues. Are vaccinations required? Should you carry malaria tablets? Antibiotics for dysentery?  There are sites that list the air courier companies with phone numbers, and other essential contact information including contact information, destinations the courier companies deliver to and the typical rates for flights. 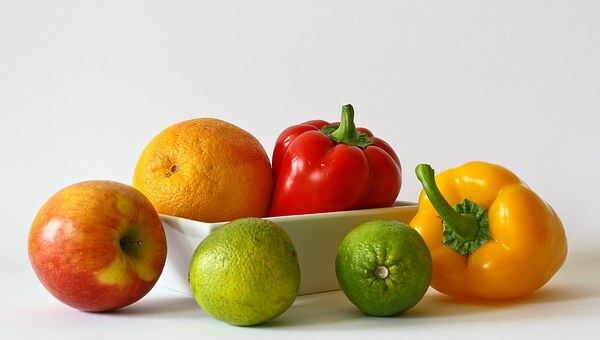 If you are interested in avoiding colds and flu read the following articles. Lots of great wellness tips for when you need to travel on a plan. If you have an interest in having a basic understanding of Applied Game Theory (and you need to) here is an interview I did with James Selman, a pioneer, and innovator in Leadership research. He is the founder of the RealUGuru Project Think Tank is a is a life coach, peak performance expert, writer, mentor, content-rich, motivational speaker, and an entrepreneur specializing in problem-solving and strategizing based on game thinking, applied game theory and Game Thinking. I recently taught a class on innovative thinking at the Royal Victorian Catskills Bed and Breakfast in Stamford NY. I talked about being effective and efficient as a life hacker and how to explore, experiment and innovate. There was an on-site corporate chair massage service available at the meeting from www.eventschairmassage.com I got into a conversation with someone about what happens when humans innovate. A “new idea, device or method”. 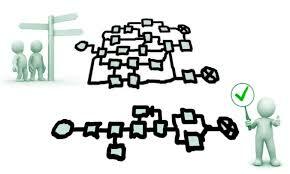 Innovation is related to, but not the same as invention in that an invention is often the result of innovation. Innovation is accomplished through creativity, visionary thinking, and the surrender of various forms of cognitive bias. The result of innovation is often more effective products, services, processes, technologies, or business models that are readily available to markets, governments, and society. Innovation is often manifested via the engineering process. 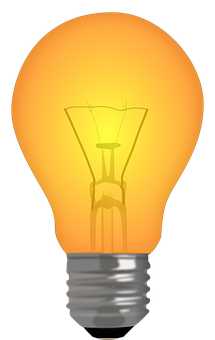 Innovation often arises in unlikely places, often as a side effect of some other event. For example, a Japanese scientist discovered a way to keep popsicles from melting. Here is an article about this and how it came about. 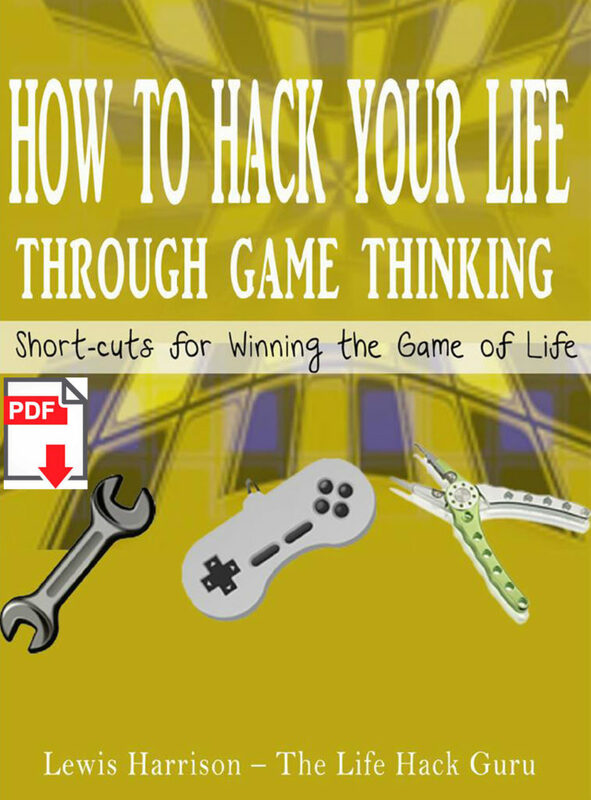 “How to Hack Your Life Through Game Thinking” By Lewis Harrison. The book contains over 400 high and low-fi hacks. Lewis Harrison – The RealUGuru, is a writer, mentor, success and wealth coach, content-rich, motivational speaker, and an entrepreneur specializing in problem-solving, troubleshooting and strategizing based on game thinking, applied game theory, and systematic thrift. WIOX is a diverse station that broadcasts original programming including presentations from NPR, the BBC, Democracy Now etc…. This blog is supported by a grant from Events Chair Massage (www.eventschairmassage.com). This is a company offering Anti-Stress hacks. This NYC Chair massage company offers Corporate chair massage to meeting planners, event planners, association meetings and trade shows. He also offers these stress management and onsite massage services in NYC at trade shows, and at the Javits Convention Center, Los Angeles, Las Vegas, Chicago, Dallas, Greensboro, Columbus Ohio and many other cities across the United States through www.NoStressSpeaker.com. We recently had a Food Festival at the Catskills B & B and Spa in Stamford NY. 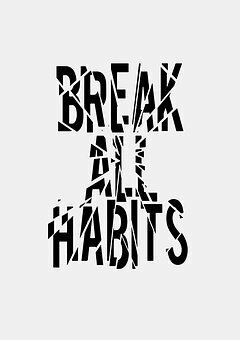 I talked about being effective and efficient as a life hacker and how to cook frugally and even lose weight more easily. I sat waiting to get one of those on-site corporate chair massages from www.eventschairmassage.com I got into a conversation with someone who asked me, “Can I use garlic leaf for cooking?”. I answered, “Absolutely”. When we have had garlic in our garden I have used the garlic leaves. They do have a garlicky flavor but are milder than garlic cloves. I tend to use them more as I would chives or garlic chives as in addition to having the milder flavor than the cloves they make for a quite nice presentation. Lewis Harrison – The RealUGuru, is a writer, mentor, success and wealth coach, content-rich, motivational speaker, and an entrepreneur specializing in problem-solving, troubleshooting and strategizing based on game thinking, applied game theory and systematic thrift. I was recently at a Chair Massage conference in NYC. I talked about being effective and efficient as a life hacker. 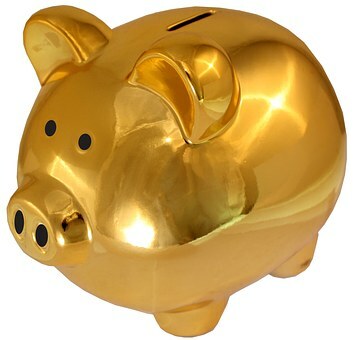 “How does one create wealth as a lifehacker? How does one find the best approaches to greater efficiency, effectiveness, and productivity? 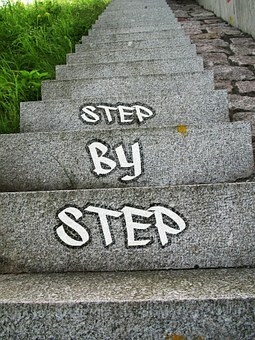 The best lifehacks also create greater self-awareness.” I responded “before anything else you need a strong foundation. The Catskills are well known in American culture, both as the setting for many 19th-century Hudson River School paintings and as the favored destination for urban vacationers from New York City in the mid-20th century. The region’s many large resorts gave countless young stand-up comedians an opportunity to hone their craft. As a college student, I would often run the spot light for the late show at Kutsher’s Country Club. In addition, to all of this, the Catskills have long been a haven for artists, musicians, and writers, especially in and around the town of Woodstock. In the early 1950s – the 1970s many world champion boxers set up training camps in these resort hotels and many of these places became celebrity hangouts. By the 1990s most of the hotels had gone belly-up however a few remained. One was the Pines Hotel in South Fallsburg. There wasn’t much going on there since the hotel was on its last legs but I liked to use the Health Club and so I got myself a part-time job as a “Sports Massage Therapist”. This happened just about the time Riddick Bowe and Rock Newman showed up. Riddick Lamont Bowe (born August 10, 1967) had won a silver medal in the super heavyweight division in boxing at the1988 Olympic Games. After turning professional, Bowe became a two-time world heavyweight champion, having first won the WBA, WBC and IBF titles in 1992 to become the undisputed heavyweight champion. Bowe became the first fighter to knock down and defeat Evander Holyfield when he claimed the undisputed world heavyweight title in 1992. Rock Newman is a sort of “RENAISSANCE MAN” who had been Captain of his Howard University Baseball team for 3 years, where he was selected as an All-American. After his graduation, he was enshrined into the Inaugural Class of the Sports Hall of Fame as one of the most outstanding athletes in Howard University history. Newman had done it all. He had been a very successful salesman, had been an award winning counselor and later became a top rated radio talk shows in the Washington DC metropolitan area where he interviewed people from all walks of life. Rock had been involved in the careers of several champions, including guiding Riddick Bowe to the undisputed Heavyweight Championship of the World. In November of 1992, Rock negotiated the largest compensation package for an athlete in sports history. Securing a deal with HBO/Time Warner and Caesars World that exceeded $100 million dollars in potential revenue for Bowe. Each day I would go to training camp and watch Bowe spar with various partners, many of them highly ranked in the world of boxing. Newman was a very pleasant, very focused and extremely intense. I would watch how he directed and guided Bowe. He focused a lot on Bowe’s feet. This surprised me – I assumed that he would focus more on boxing techniques and defense. Then I remembered something my friend Marty Kalminson once said to me when we were playing basketball in a 24-hour gym in Queens. “It’s all in the feet. As long as you are dribbling the ball the ball isn’t going anywhere that your feet aren’t going”. It made sense. I thought about what he said here and applied it to my thoughts on why game based thinking is so essential to living an effective, efficient, productive and struggle free life. ““…when you build a house you build from the basement up. If your trainer doesn’t start you out by working your feet, get a different one. If you are not taught to think strategically even in the best of circumstances you are in big trouble. Strategic thinking is game based thinking. It integrates the logical, the rational and the intuitive. Everyone but a few smart thinkers want to get rich, have a beautiful mate, get a nice car, get famous, and conquer the world but success is so much more than that. Even if one considers this “Stuff” a sign of success it’s more than that. I was recently at a Travel agents conference and I talked about being effective and efficient as a passenger on a plane. I sat waiting to get one of those on-site corporate chair massages from www.eventschairmassage.com I got into a conversation with someone who asked me, “What exactly is a lifehack? It is, of course, any shortcut that creates greater efficiency, effectiveness, and productivity. The best lifehacks also create greater self-awareness. They then asked me if there was a secret to getting the best seat on an airplane? I responded, “The question you must first ask is “Are some seats better than others?” The answer is yes and there are ways to nab the best spots for yourself. Of course what is considered “a best seat” will be different for different people. Let’s look at some variables. If you are able to choose the type of seat you want keep this in mind. Choose a seat that allows for a slight recline feature of a few inches or legroom in bulkhead seat or emergency exit row. Flyer beware: The seats in front of an exit row and at the very back of the plane do not recline. Often those behind the exit have weird window configurations. The bathrooms are usually near the galley so if you sit in that area be ready for either noise or people tripping over you. Asa side not many airlines offer Chair massage in the terminal or on the plane. Check it out!. Lewis Harrison – The RealUGuru, is a writer, mentor, success and wealth coach, content-rich, motivational speaker, and an entrepreneur specializing in problem solving, troubleshooting and strategizing based on game thinking, applied game theory and systematic thrift. 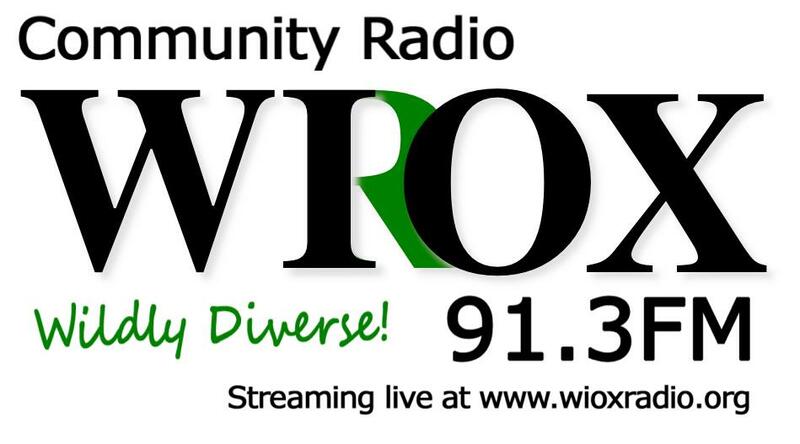 WIOX is a diverse station that broadcasts original programming including presentation from NPR, the BBC, Democracy Now etc…. I was recently offering chair massage to tourists at a local visitor’s center with my corporate chair massage company, We often off these services at www.eventschairmassage.com. A tourist information center, providing visitors to a location with information on the area’s attractions, lodgings, maps, and other items relevant to tourism. Often, these centers are operated at the airport or other port of entry, by the local government or chamber of commerce. Often a visitor center is called simply an information center. A corporate visitor center provides visitors with an easily accessible window into the corporation. A visitor center at a specific attraction or place of interest, such as alandmark, national park, national forest, or state park, providing information (such as trail maps, and about camp sites, staff contact, restrooms, etc.) and in-depth educational exhibits and artifact displays (for example, about natural or cultural history). 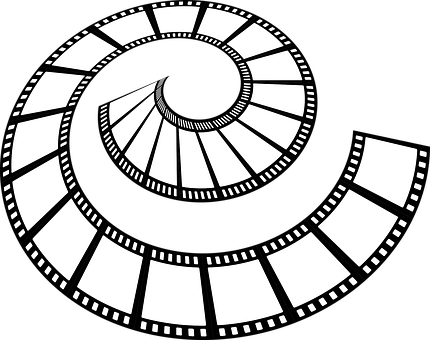 Often a film or other media display is used. If the site has permit requirements or guided tours, the visitor center is often the place where these are coordinated. These centers are usually used to provide fairly basic information about the place, corporation or event they are celebrating, acting more as the entry way to a place. The role of the visitor center has been rapidly evolving over the past 10 years to become more of an experience and to tell the story of the place or brand it represents. Many have become destinations and experiences in their own right. The best thing to do to choose places to visit is to collect brochures or booklets of interest and then research interesting events or locations on line. One of my favorite discoveries doing this was the Gullah Goochie culture of the South Carolina Lowlands. The Gullah are the descendants of enslaved Africans from various peoples who lived in the Lowcountry regions of the US states of Georgia and South Carolina, in the area of both the coastal plain and the Sea Islands. They developed a creole ethnicity and language that is distinctive among Africans. Descendants of enslaved Africans from the Gullah people also are a majority of the current inhabitants in The Bahamas, who share an almost identical dialect with their cousins. Historically, the Gullah region extended from the Cape Fear area on North Carolina‘s coast south to the vicinity of Jacksonville on Florida‘s coast. Today the Gullah area is confined to the Georgia and South Carolina Lowcountry. The Gullah people and their language are also called Geechee, which may be derived from the name of the Ogeechee River near Savannah, Georgia. Gullah is a term that was originally used to designate the creole dialect of English spoken by Gullah and Geechee people. Over time, its speakers have used this term to formally refer to their creole language and distinctive ethnic identity as a people. The Georgia communities are distinguished by identifying as either “Freshwater Geechee” or “Saltwater Geechee”, depending on whether they live on the mainland or the Sea Islands. Because of a period of relative isolation from whites while working on large plantations in rural areas, the Africans, drawn from a variety of Central and West African tribes, developed a creole culture that has preserved much of their African linguistic and cultural heritage from various peoples; in addition, they absorbed new influences from the region. The Gullah people speak an English-based creole language containing many African loanwords and influenced by African languages in grammar and sentence structure. Sometimes referred to as “Sea Island Creole” by linguists and scholars, the Gullah language is especially related to and almost identical to Bahamian Creole. There are also ties to Barbadian Creole,Belizean Creole, Jamaican Patois and the Krio language of West Africa. Gullah crafts, farming and fishing traditions, folk beliefs, music, rice-based cuisine, and story-telling traditions all exhibit strong influences from Central and West African cultures. On a time share visit to Hilton Head we made a short trip to Gullah country. It was one of my best “history” experiences. I was recently at a stress management conference and I talked about being highly focused in intention as well as being more effective and efficient as a stress management tool. I sat waiting to get one of those on-site corporate chair massages from www.eventschairmassage.com I got into a conversation with someone who asked me, “What exactly is a lifehack? As children’s games have become more sophisticated they help children learn by example from other children, and can be played without reference to written rules. These games are usually played by children between the ages of 7 and 12, with some latitude on both ends of the age range. These games have been passed from child to child, generation to generation, and informally by word of mouth. Most interactive children’s games include at least two of the following six features in different proportion: physical skill, strategy, chance, repetition of patterns, creativity, and vertigo. Examples of some of the most popular children’s games include apple bobbing, playing “catch” with a ball, Jumping Ropes, Kick the Can, Marbles, Leap frog, and many new video games for young children. At a particular point in our mental, emotional and physical development we begin to express the need to compete. Competition is, in general, a contest or rivalry between two or more organisms, animals, individuals, economic groups or social groups, etc. Soon after we learn to play games we learn about puzzles. 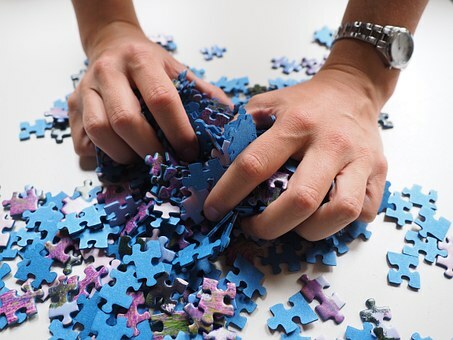 We may begin with simple games like Candy Land and simple jigsaw picture puzzles. 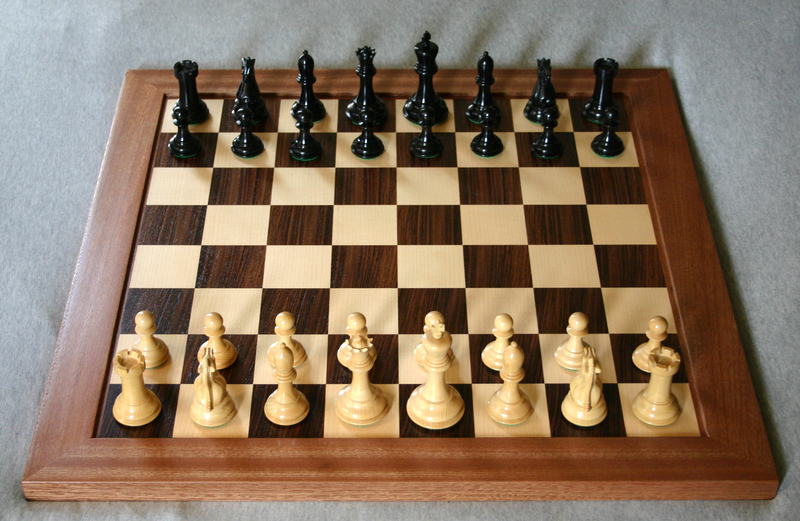 (ExPLain) and eventually move on to games like tic-tac toe, Monopoly and chess. Some of these games involve just two players while others involve multiple players and even teams. It doesn’t take long before we realize that in some games everyone wins and in others, there are also losers. In just a few years after we make this discovery, one of the cruel realities of life takes place. Our parents may tell us that “it is time to stop playing games and get serious about life.” This is most unfortunate since it would have been better to simply have us continue playing games and becoming more skilled at strategizing when we played these games. Many of us move on in life getting jobs we do not love, working under incompetent management in layered corporate hierarchies. Often we are prisoners in a “life game” from which there seems no way to win. We are trapped in the game of life even as we ironically continue to root for sports teams, play poker, watch Poker Championships and join On-line Fantasy Leagues. We go on vacations to Las Vegas and throw our money away on games of chance when if we knew how to apply game thinking we could win millions of dollars in a day. 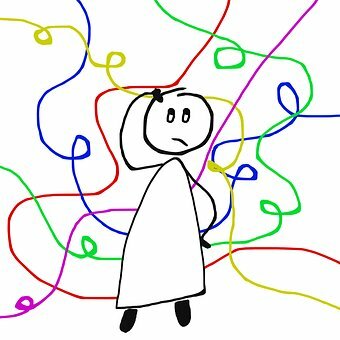 Given that we live in highly complex social environments, many of our most important decisions are made in the context of social interactions. Simple but sophisticated tasks from a branch of experimental economics known as game theory have been used to study social decision-making in the laboratory setting, and a variety of neuroscience methods have been used to probe the underlying neural systems. This approach is informing our knowledge of the neural mechanisms that support decisions about trust, reciprocity, altruism, fairness, revenge, social punishment, social norm conformity, social learning, and competition. Neural systems involved in reward and reinforcement, pain and punishment, mentalizing, delaying gratification, and emotion regulation are commonly recruited for social decisions. This review also highlights the role of the prefrontal cortex in prudent social decision-making, at least when social environments are relatively stable. In addition, recent progress has been made in understanding the neural bases of individual variation in social decision-making. Lifehack! In the end you will save, money, save time and create greater happiness.